ALBA SAILING is Scotland’s premier independent bareboat and skippered yacht charter company – we have provided quality service for over 35 years. 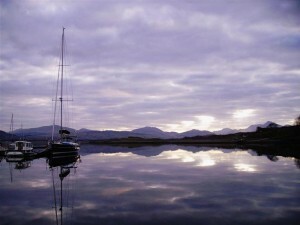 From our purpose built shore side premises at Dunstaffnage Marina, Oban, Argyll in West Scotland we offer a wide choice of quality yachts from 31 – 46 feet for bareboat or skippered yacht charter. Unlike many charter companies, we own the majority of the yachts in our fleet so you can be sure of not only a warm personal welcome but also of our commitment to providing you with a well maintained and well equipped yacht that you will be proud to sail. Our base is at the heart of Scotland’s West Coast cruising grounds so the Inner Hebrides, including the Isle of Mull and the Isle of Skye, can usually be circumnavigated within one week depending on whether you use bareboat or skippered charter. Our Cruising in West Scotland page gives you a brief outline of some of the many attractions our cruising area has to offer. We have our own Chandlery and hire shop on-site and offer a range of services including waterproof clothing hire, freshly laundered bedding and towels as well as a first class provisioning service. There is a Tourist Information Centre in Oban and they can suggest hotels and Bed and Breakfasts in and around Oban in case you would like to extend your holiday. Their website is here or you can phone them on +44 (0)1631 563122. We have also discovered a truly excellent transport provider and their details are on the download page of our website. Enjoy our website and please feel free to contact us directly for any further information, advice or guidance on skippered or bareboat charter in West Scotland. We are here to help. 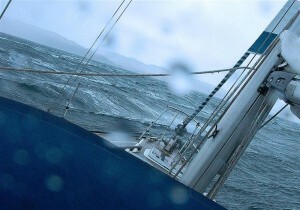 Alba Sailing is run by sailors – for sailors! 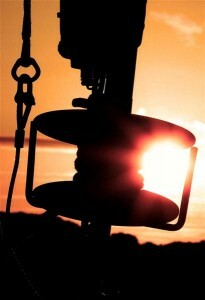 We are also on hand to discuss your Chandlery and Rigging requirements. We look forward to welcoming you to Scotland soon!